Ashley Firth is a historian, writer, researcher and blogger. Her blog, Lellalee, covers a range of topics, including health and fitness, parenting and travel. 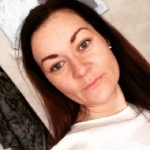 Ashley is based in Manchester, UK and is passionate about offering fitness advice to others as she embarks on her weight loss journey. You can connect with her on Twitter, Pinterest and Instagram.